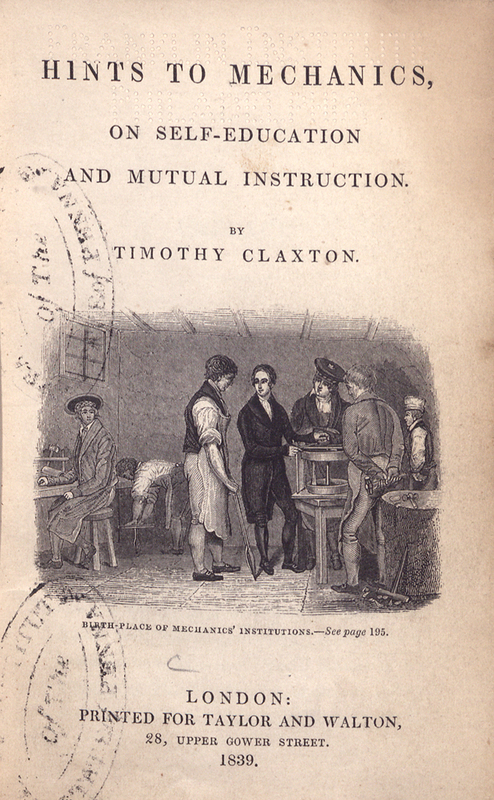 Perhaps the most famous self-taught mechanic in early nineteenth-century America was British-born Timothy Claxton, who immigrated to Boston in 1823. Claxton worked as a machinist, inventor, entrepreneur, and finally, a lecturer. Recognizing the need for technical education in the city, Claxton founded the Boston Mechanics’ Institution in 1826. 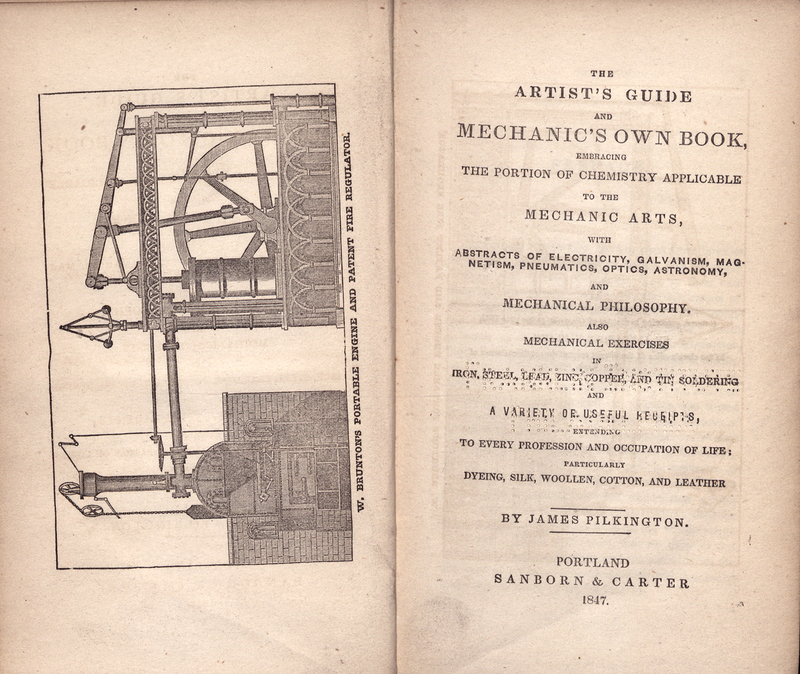 In 1839 he published Hints for Mechanics, in which he offered advice to you men who wanted to follow his example.